August 19, 2017 3:42 pm. The edge in race fitness Crown Witness had over Blue Diamond winner Catchy proved decisive in the Quezette Stakes at Caulfield. Crown Witness had wins at Sandown and Flemington in the lead up to Saturday’s Group Three sprint while Catchy was having her first run following a successful two-year-old campaign. Backed from $6 to $3.80, Crown Witness, under the guidance of Ben Melham, held off a determined Catchy, the $2.30 favourite, by a head with Ploverset ($13) 2-1/4 lengths away third. “I reckon David Hayes would be getting sick of this filly,” trainer Stuart Webb said. “Her three victories have been over Hayes and Dabernig runners. Webb will now consider how far into the spring he goes with the daughter of Star Witness. But Webb doubts Crown Witness will be a contender in the Thousand Guineas at Caulfield in October, a race he won with Yosei in 2010. “She’s got so much speed but is also so relaxed,” Webb said. “I think she’ll definitely get 1400 metres but the mile of the Thousand Guineas, I’m not sure. 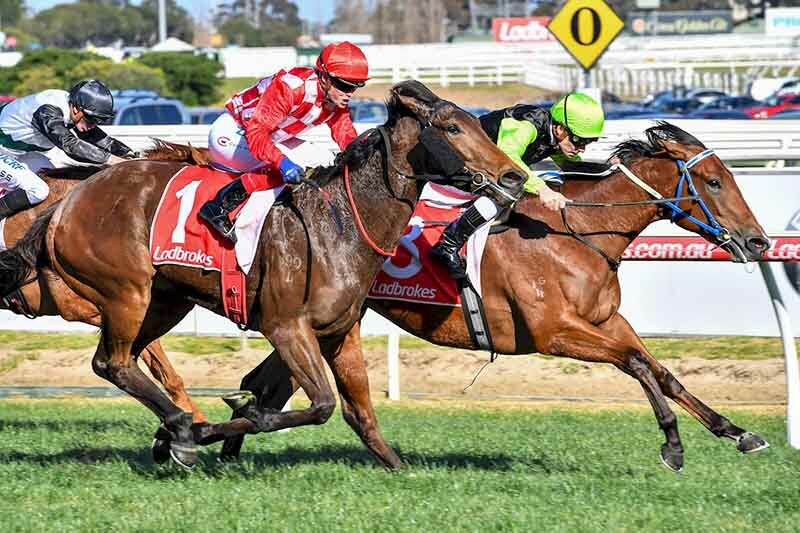 Catchy’s rider Craig Williams was disappointed the filly was unable to maintain her unbeaten record in Victoria, but was thrilled with her performance. “She still looks like a woolly bear so she’ll only get better,” he said.